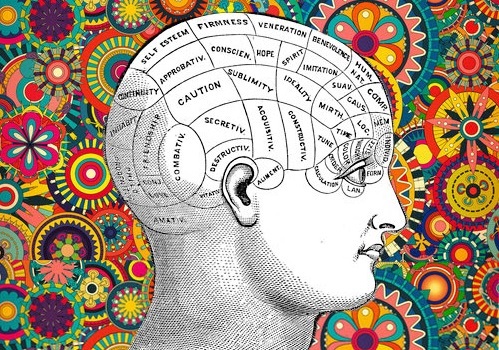 Collection Of 23 POWERFUL Psychological Facts That Will Make You A MASTERMIND! Human behavior is not that complex when you know the basic biases we all act with. Most of us are easily predictable even though we strongly think we are not. Majority of our day we do things on automatic and this automatic is the same automatic in most people. Knowing what a certain behavior represents can help us understand others a lot better. Everything is language if you know what it means. There are certain tricks you can use to stimulate your body into feeling better and being healthier. There are certain tricks you can use to avoid arguments and fortify your relationship with your partner and with your friends. There are tricks to help you organize your life in a way that will naturally help you become a better person with the least possible effort. 1. If you ask someone a question and they only partially answer just wait. If you stay silent and keep eye contact they will continue talking. 2. People listen when you speak less. 3. Everyone you meet has something to teach you. 4. People who constantly suffer from emotional wounds tend to easily get annoyed with others for no apparent reason. 5. Spending a large amount of time with someone literally causes you to pick their habits. Choose wisely who you hang out with. Intelligent people tend to have less friends than the average person. The smarter you are , the more selective you become. This doesn’t mean to get rid of the friends with bad habits, just be aware of them. If you can, reduce the time you spend together. You can use this in your favor by surrounding yourself with people who have habits you want to adopt. After a while they’ll become your habits too. Researchers say that a habit is effectively adopted after 21 days. Another fact is that a habit can never be unrooted. They are only replaced. Addictions however, can be unrooted. The difference between an addiction and a habit is the place it comes from. Addictions are an escape towards/from a certain emotion. Habits (for example skipping breakfast) are simply ways your mind is used to work. Habits have no emotional background behind them. 6. Napping actually improves stamina, boosts your creativity, boosts your libido and reduces stress. Best kind of naps are 30 minutes long. 7. Flirting is an effective way of reducing loneliness, depression and relieving stress. 8. Spending your money on experiences is proven to give more happiness than possessions. 9. Negativity brings down your immune system. 10. Don’t chase people. Be you, do your thing, do what you like doing. The right people who resonate with who you really are will come naturally and stay. 11. Chocolate discharges the same chemicals into your body which is produced when you start falling in love. The smell of chocolate increases Theta brain waves which triggers relaxation. 12. Happiness, anger, sadness, fear, disgust, and surprise are the 6 emotions that are universally expressed. Feelings are the most honest language. 13. A hug longer than 20 seconds will release chemicals into your body that make you trust the person you are hugging. 14. You are more likely to be affected by the mood of people you care about than strangers. No matter how angry you get, you always end up forgiving the people you love. 15. People are generally more honest when physically tired. This is why people confess things during late night conversations. 16. Naturally we think more negative thoughts than positive as a defensive mechanism to prepare us for potential danger. People tend to be happier when kept busy, as this prevents them from thinking about the negative things in life. 17. If you think you’re a multi-tasker, then this will shake your belief. You can’t multi-task because your brain can only focus on one higher level function at a time. So it’s more effective if you focus only on one task at a time. 18. Eating Oranges and Bananas can make you happier. Studies have shown that bananas promote the production of Serotonin in your body while oranges contain Vitamin B6 also called the “mood vitamin”. 19. Lip biting triggers a rush of chemicals which reduce anxiety, stress and increase mood. 20. If you want your children to turn out well, spend twice as much time with them and half as much money. 21. Forcing a smile on your face when you look at yourself in the mirror stimulates your brain to produce chemicals that make you happy. 22. Physical touch makes you healthier. Studies show that massages, hugs and hand holding reduce stress and boost the immune system. 23. If you hate a person you hate something in them that is a part of yourself. What isn’t part of ourselves doesn’t disturb us.